This is what happens when a free press seeks to eliminate free choice. Action Alert! 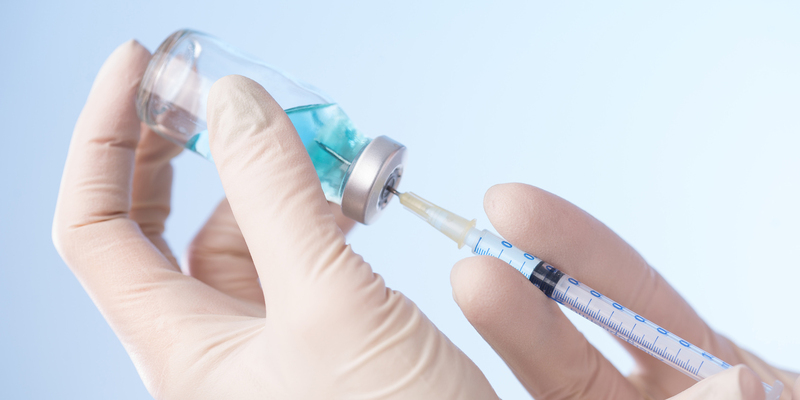 A recent editorial piece in The New York Times suggests that more states should enact mandatory vaccination laws, kicking kids out of public and private schools if they do not follow the state’s vaccine schedule. That’s just one of a number of tips given for how to deal with “anti-vaxxers,” which the World Health Organization has deemed one of the top world health threats for 2019. But in decrying the perceived anti-scientific stance of those who question whether vaccines are safe, the NYT editorial writers, like many who agree with them, betray a lack of the skepticism needed for good science to flourish. The Editorial board states, for example, “Yes, there are chemicals in vaccines, but they are not toxic.” This is undeniably false. As we’ve stated previously, many vaccines contain aluminum, which is a neurotoxin, formaldehyde, and even mercury. Take aluminum: It is normal to ingest aluminum in some of the foods we eat, but the liver clears it. It is a different matter when aluminum and other vaccine ingredients are injected directly into the blood, where they bypass the liver and the gastrointestinal tract. This isn’t pseudo-science: new studies provide stunning information about what happens to aluminum after it’s injected into muscle. In some mice, it travels to the brain, where it can still be detected a year later. It also travels to the spleen and lymph nodes, where it can still be detected 270 days after vaccination. And that’s not all. As we’ve noted elsewhere, testing proving aluminum adjuvants are safe has never been done. Health authorities rely on EPA safety levels that determine how much orally-ingested aluminum is safe which, as stated above, is a different issue altogether from injected aluminum. We’re also told unequivocally by the NYT that unvaccinated kids were the cause of measles outbreaks in California and other states. Again, this widely held theory does not hold up. A recent study looked at 1,789 measles cases reported to the Centers for Disease Control and Prevention (CDC) between 2001 and 2015, reporting that 70% were unvaccinated—but the authors admit that there was a “lack of verifiable immunization on nearly half of the adult cases”—meaning that they don’t really know how many of the 1,789 were actually unvaccinated or unvaccinated. Even if we accept the study’s numbers at face value, it means that 30% of measles cases occurred in those who were vaccinated. So vaccinated kids were still getting the disease. There have even been cases where measles was transmitted in a school with a documented immunization level of 100%. What this tells us is that vaccination is not as effective at preventing disease as the public is often led to believe. Multiple studies have shown that vaccinated kids, especially those recently vaccinated, can spread disease, because the vaccine contains live virus (vaccines that contain the live virus include chicken pox, measles, rubella, nasal flu, polio, and smallpox). We were told the same thing about a recent spike in mumps—that the cause was unvaccinated kids. But according even to the CDC, a staunch supporter of the government vaccination schedule, most mumps patients said they had received both shots of the MMR (measles, mumps, and rubella) vaccine. The states with the most cases of mumps had vaccination rates of 90% or higher—a threshold where herd immunity should exist if it is ever going to exist. (The herd immunity hypothesis states that a very high percentage of a community must be vaccinated in order to protect everyone (the herd) from a disease.) The fact that the disease spreads in highly vaccinated communities suggests 1) that the herd immunity hypothesis is incorrect and 2) that the source of the problem isn’t unvaccinated kids, but the ineffectiveness of the vaccine. Mumps has even occurred in schools that have a 98% vaccination rate. It is also spreading among vaccinated kids on college campuses. At the University of Missouri, there were 193 reported cases of mumps, and all patients treated by the university had received two MMR shots. The NYT also decries the “dismal rates of HPV vaccination, which doctors say could effectively wipe out cervical cancer if it were better utilized.” Really? Are the editorial writers unmoved by the 57,287 adverse events that have been reported from HPV vaccination, including 419 deaths, which is far more than any other vaccine? What about a recent study showing that women aged 25-29 who received the HPV vaccine have a lower probability of becoming pregnant? Or the fact that, for women who have already been exposed to certain strains of the HPV virus, vaccination can actually increase the risk of precancerous lesions by 44%? Or is all of this evidence just the ravings of pseudo-scientific anti-vaxxers, so it can be dismissed without further comment or study? Herein lies the problem. There are legitimate safety concerns with some vaccines and with some ingredients. These issues should be studied and explored further so vaccines can be made safer. Saying that all vaccines are safe and cannot be improved will not accomplish this. Rather than undertaking the crucial work of making vaccines safer, members of the media and government health authorities instead cover their ears and insist that anti-vaxxers are irrational idiots who need to be taught a lesson. Of one thing we can be sure: no real scientist would be so dogmatic, emotional, and combative. A real scientist examines all the evidence dispassionately before reaching a conclusion, and the evidence is clear: many vaccines are simply not effective, are dangerous, or both. Action Alert! Write to your state legislators and tell them to preserve vaccine choice! Please send your message immediately.